Welcome! 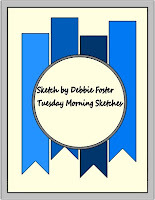 Today my card was inspired by the Sketch Challenge at Tuesday Morning Sketches. My colors were inspired by another challenge which closed before I had time to enter. One can't make them all! Anyway the card evolved into a Birthday card with words cut with Cheery Lynn Dies. Pattern Paper from MME Lost & Found pad and all Cardstocks from stash. Balloon was cut with a Circle die and metallic string was tied on. 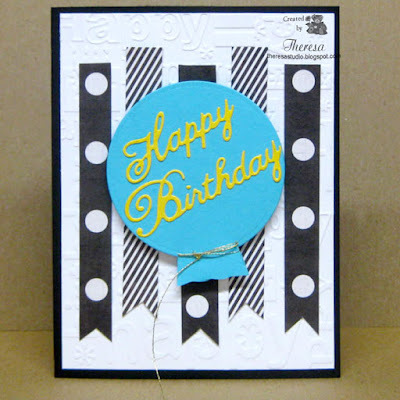 Fabulous card, great use of papers and colours. Thank you for playing along with Tuesday Morning Sketches. 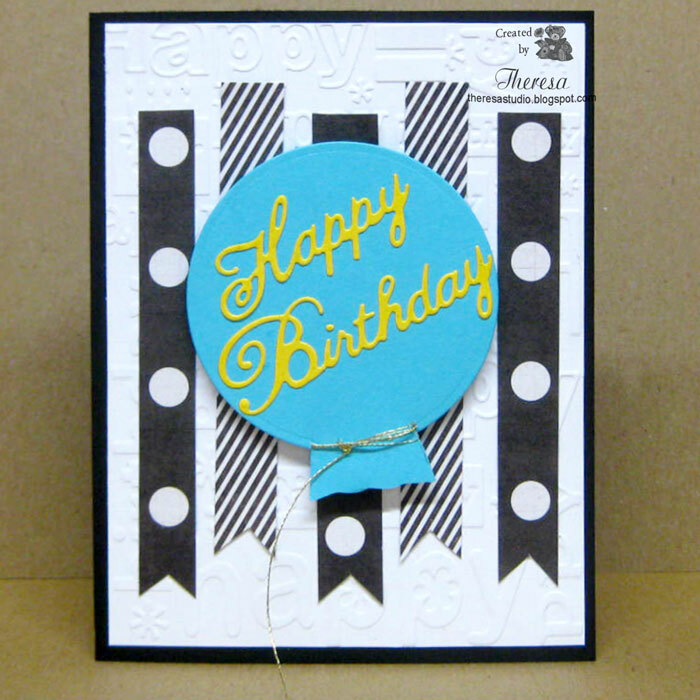 Oh, fun card with the background and all those awesome black and white strips of banners! Love it! 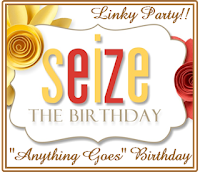 Thanks for sharing at Seize the Birthday! This is terrific! Really like how you did the banner background. Thanks for playing along with Seize the Birthday.